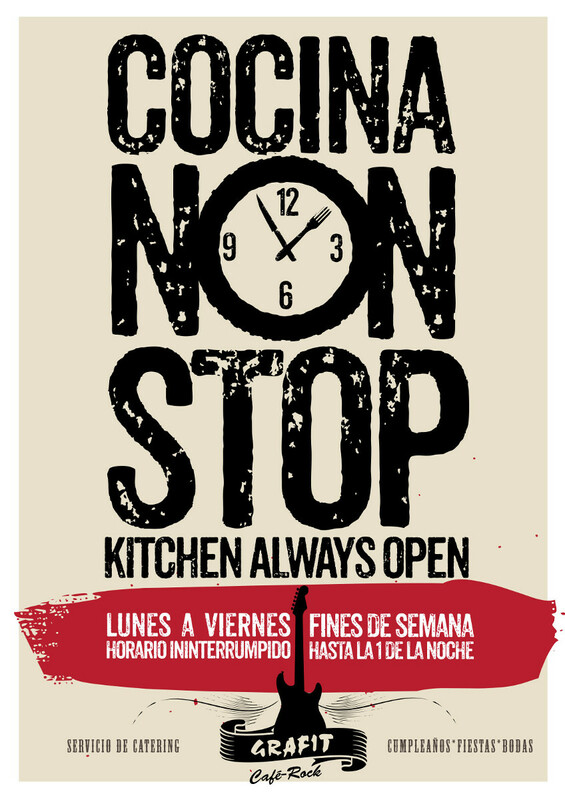 The Grafit Kitchen is always open from Monday to Friday uninterrupted hours and Weekends until 01h (am). We make catering on request for all types of events in the Grafit or in your home. We launched a new service in the center of Bilbao. Enjoy it. Check what we can offer you on the most special occasions of celebration such as baptism, communions, birthdays, anniversaries, company meals, parties, weddings, … In addition to try our way of cooking you can come to Grafit Café and attend the upcoming acoustic and concerts and other performances that we are preparing to have a great time.